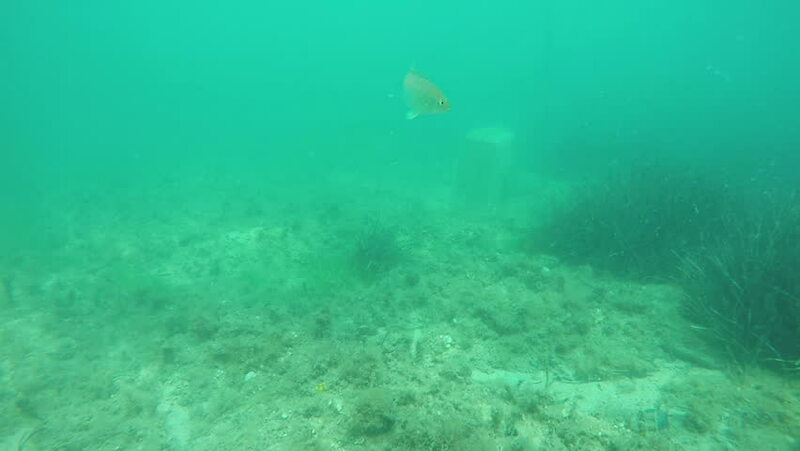 hd00:25Grey wrasse (Symphodus cinereus): The male builds the nest, the female approach to the nest, wide shot. Black Sea. Ukraine. hd00:12Bull Shark (Carcharhinus leucas). reefs of the Sea of Cortez, Pacific ocean. Cabo Pulmo, Baja California Sur, Mexico. Cousteau named it The world's aquarium.